Ringworm is not, as the name suggests, a disease caused by a worm. It is instead a fungal infection of the skin, also known as dermatophytosis. Ringworm is contagious and very easily passed from one individual to another. Many species of animals are susceptible to ringworm, including both dogs and cats. Humans are also susceptible to ringworm and you can become infected from an infected pet or from another infected person. How Can a Dog or Cat Get Ringworm? Ringworm can be passed to your dog or cat by contact with another animal or a person who is infected with ringworm. He can also be infected by exposure to contaminated objects, such as grooming utensils, bedding, ​and dishes. Ringworm is seen in cats more often than in dogs. 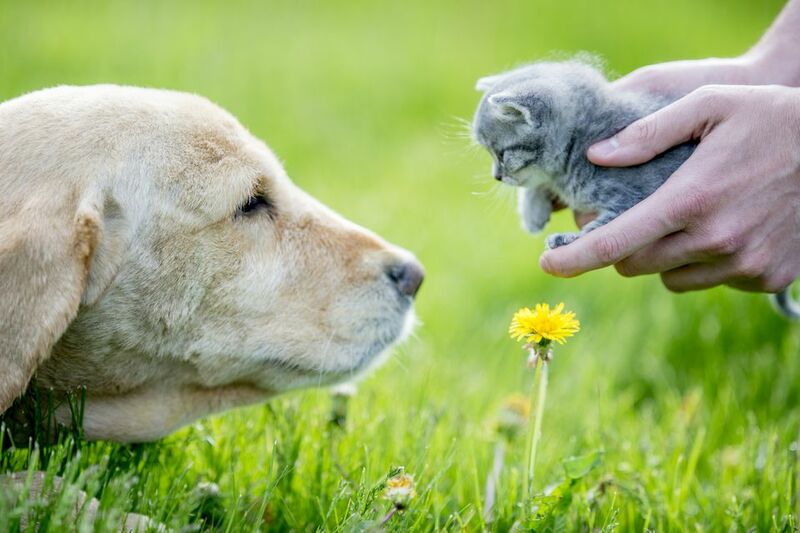 Kittens and young cats are especially susceptible to infection, although puppies can get ringworm. How Can a Person Get Ringworm? People can become infected with ringworm through contact with infected pets. However, they can also become infected through contact with other infected people and through contact with contaminated objects and surfaces. How Can You Protect Yourself From Ringworm? If you believe your pet has ringworm, you should visit your veterinarian as soon as possible. All animals in the household may need to be treated. Even pets that are not showing signs may have been exposed to the disease. Ringworm spores are very hard to kill and can survive for over a year in a contaminated environment. It is important to get rid of the spores when treating ringworm for your dog or cat. Wash your hands thoroughly after handling your pet. Wash your pet's bedding, toys, grooming utensils, dishes and other paraphernalia with a disinfectant that kills ringworm spores. Any pet supplies that cannot be disinfected should be discarded. Vacuum your flooring regularly to remove loose hair. The spores can survive on these hairs. Remember that you can get ringworm from other people as well. Avoid sharing clothing, towels, or other items with any individual that has ringworm. Wear sandals or slippers when in public locker rooms or shower areas.